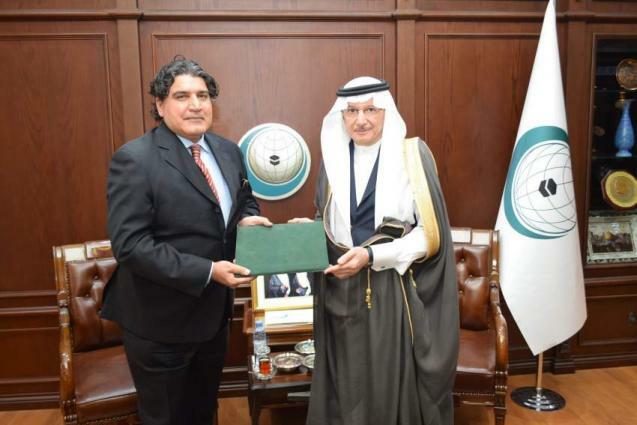 Jeddah (UrduPoint / Pakistan Point News - 16th April, 2019) Mr. Raja Ali Ejaz, Ambassador of the Islamic Republic of Pakistan to Saudi Arabia, presented his credentials to the Secretary-General of the Organization of Islamic Cooperation (OIC) H.E. Yousef bin Ahmed Al-Othaimeen, accrediting him as the Permanent Representative of his country to the OIC, on 15 April 2019. Afterwards, the Secretary-General discussed with Amb. Ejaz issues of mutual interest and means of developing bilateral relations between Pakistan and the OIC. On the other hand, Ambassador Ejaz signed the Statute of the OIC Islamic Organization for Food Security (IOFS) for Pakistan. 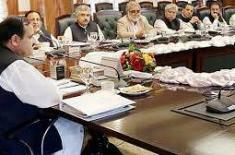 Prime Minister approves `Sehat Sahulat Program' for all permanently disabled persons in ICT, AJK, GB ..